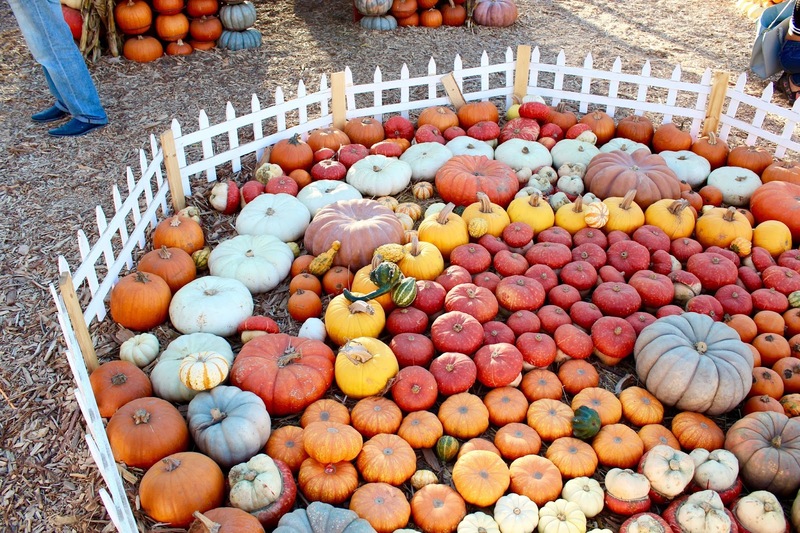 Happy Halloween, loves! 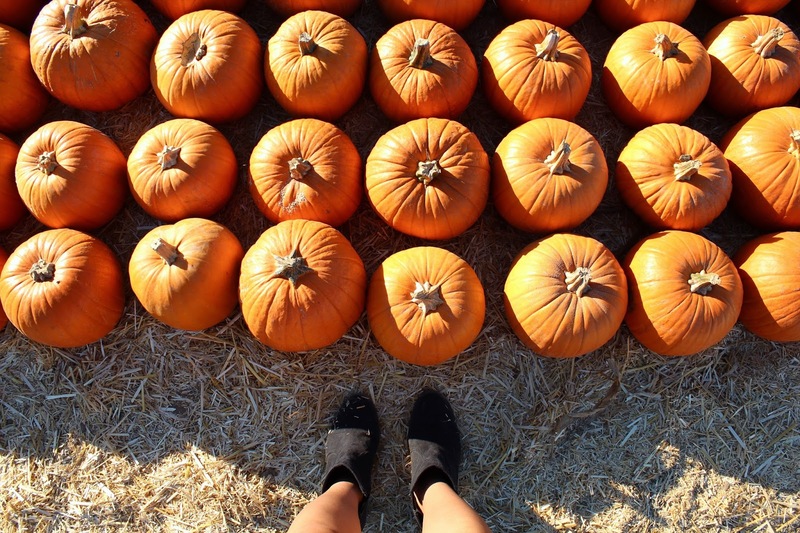 I FINAAAALLYY had time to visit a pumpkin patch! 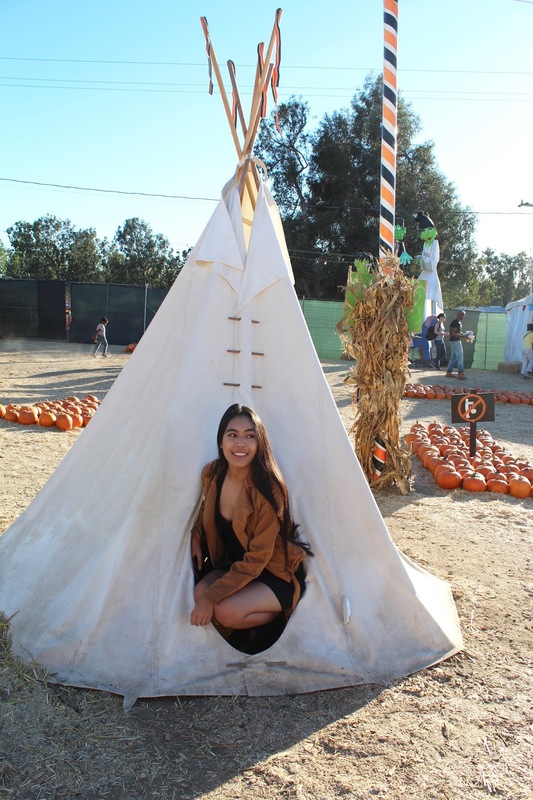 All of the month of October, I've been drowning in projects and midterms that I never had the chance to do any cutesy October festivities. While I spent my days at home studying (crying), I just sadly watched everyone do fun fall festivities on Snapchat and Instagram. 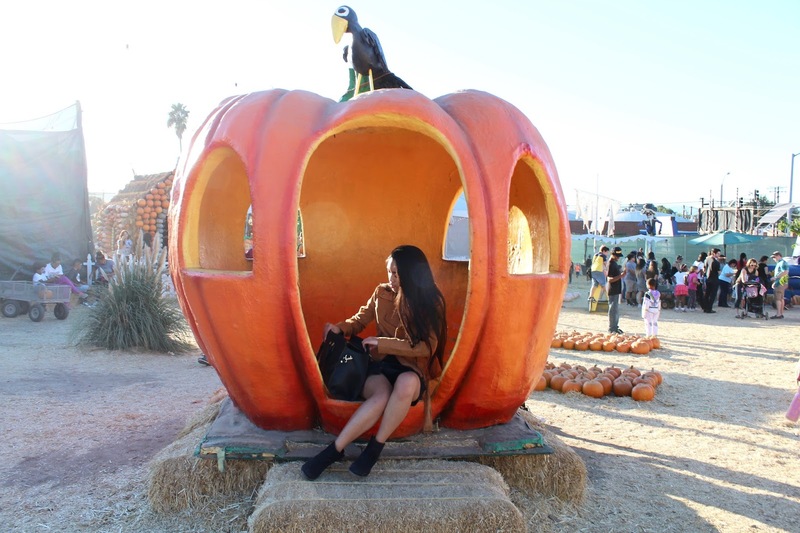 So my excitement was so real when I had time to visit Mr. Bones Pumpkin Patch in Culver City! 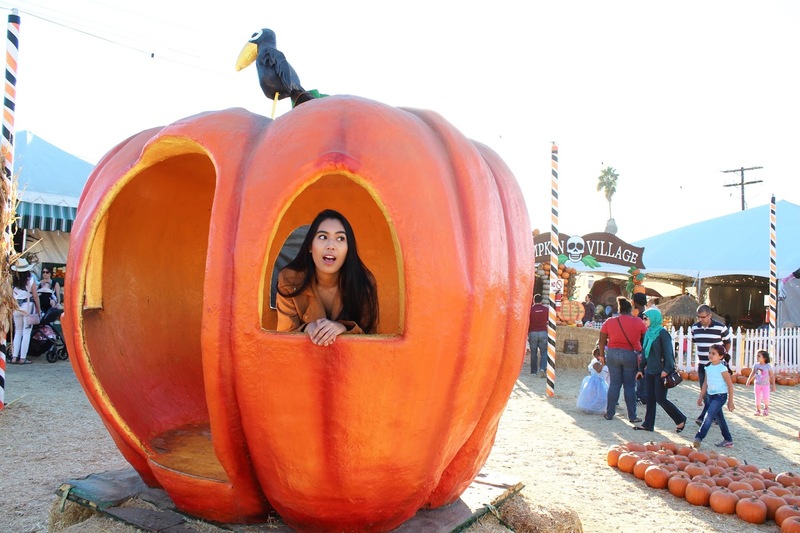 Mr. Bones Pumpkin Patch was the cutest little place. 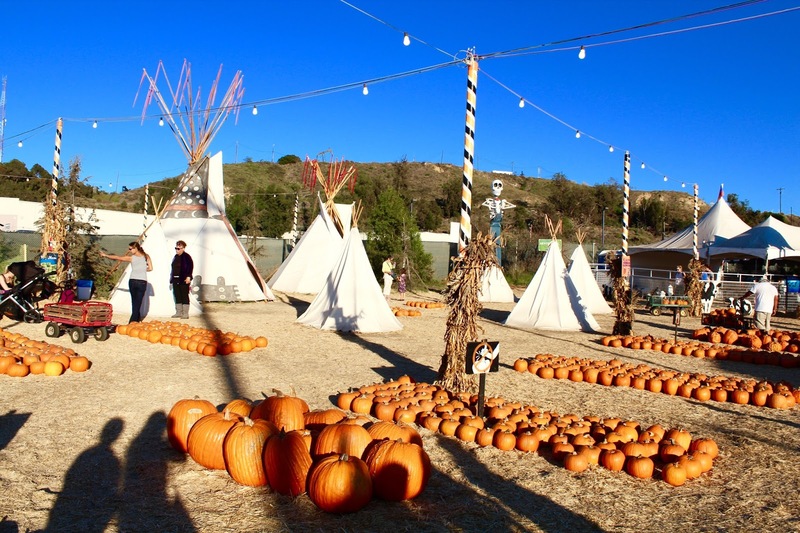 Filled with teepees, a nice variety of pumpkins (duh), a huge slide, a petting zoo area and other cute activities for kids! Everything at this place is SO Instagram worthy. Gotta love that. 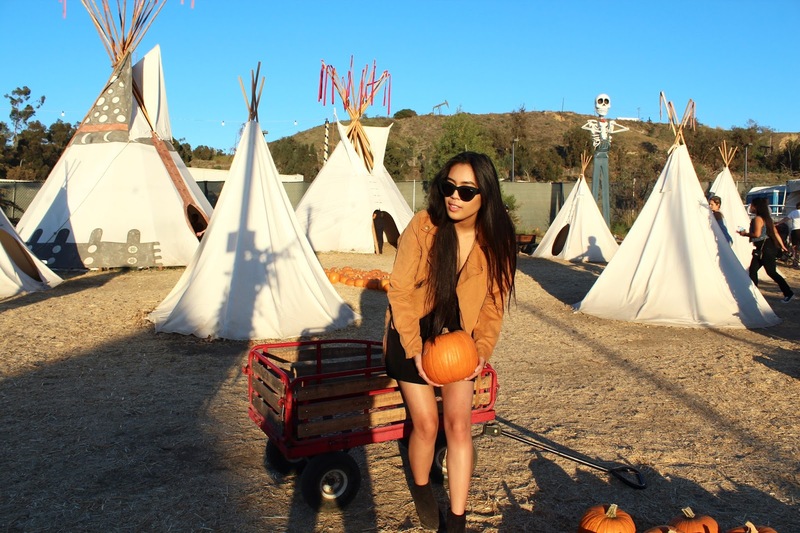 And if you know me, I'm freakishly obsessed with just about anything that is remotely close to "boho vibes". 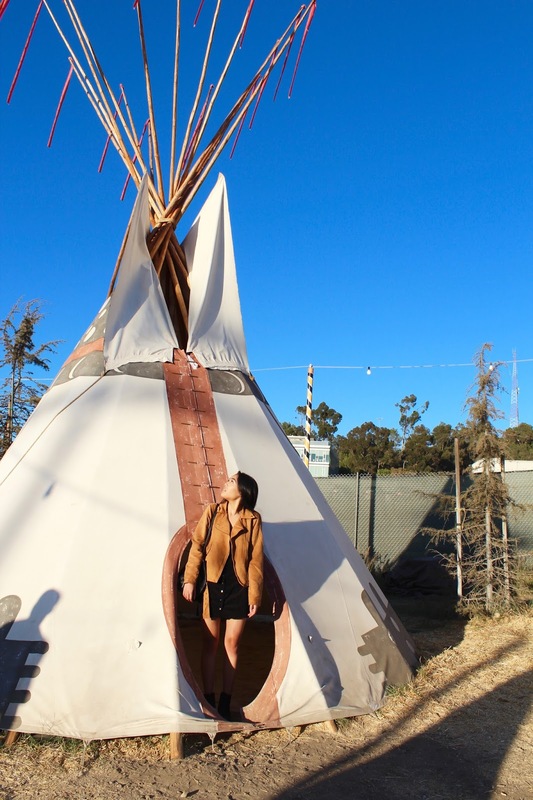 So seeing these teepees made me FREAK out. 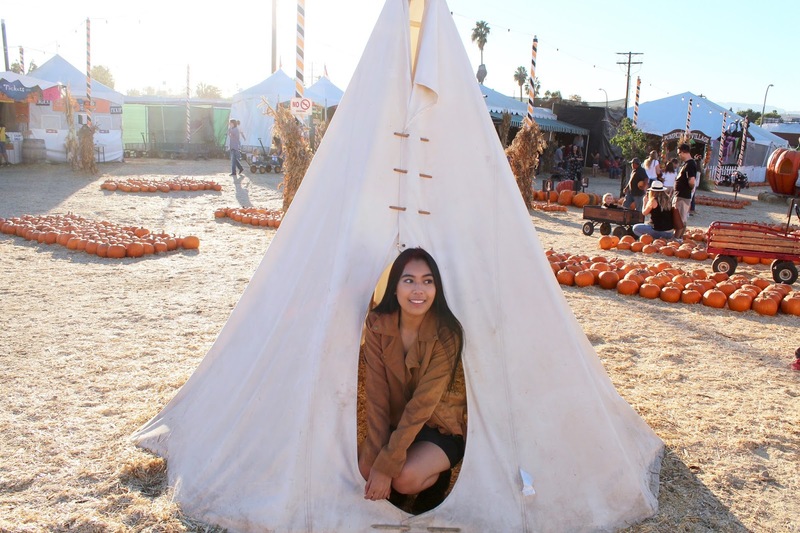 (Note to self: Get a cute AF teepee for my future backyard.) They're just so flipping cute, I can't at all contain my excitement for them. 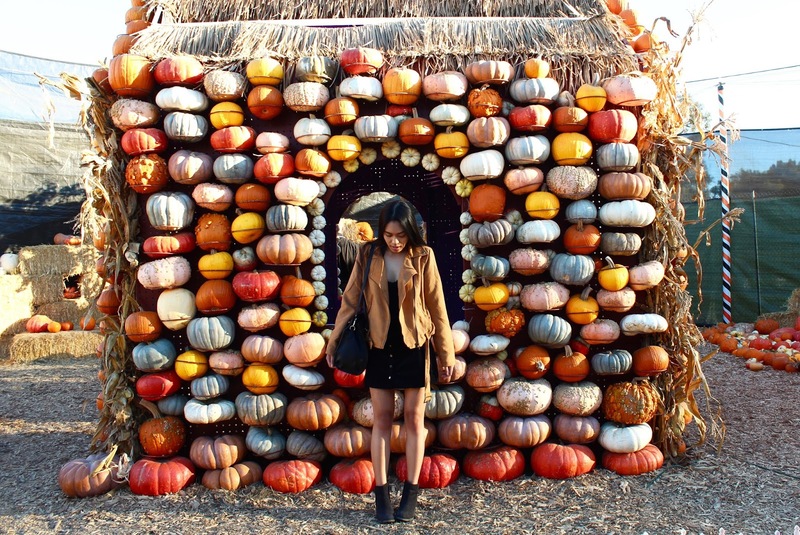 Of course, being a blogger and all, I had to have a shoot at a pumpkin patch. Just normal things, ya know? As for my outfit, I kept it pretty simple. Well, in all honesty, I just had no idea what the heck to wear. So this was the quickest outfit I came up with that looked somewhat fall attire. Button-up skirts have really been trending so I recently got this black corduroy skirt and decided to pair it with a matching black halter top. Since this all black outfit was quite dull and boring, I had to create some oomph to it so I added this awesome suede motor jacket. Not the smartest of outfit choices, since it was uncomfortably hot outside that I felt kind of ridiculous wearing this. 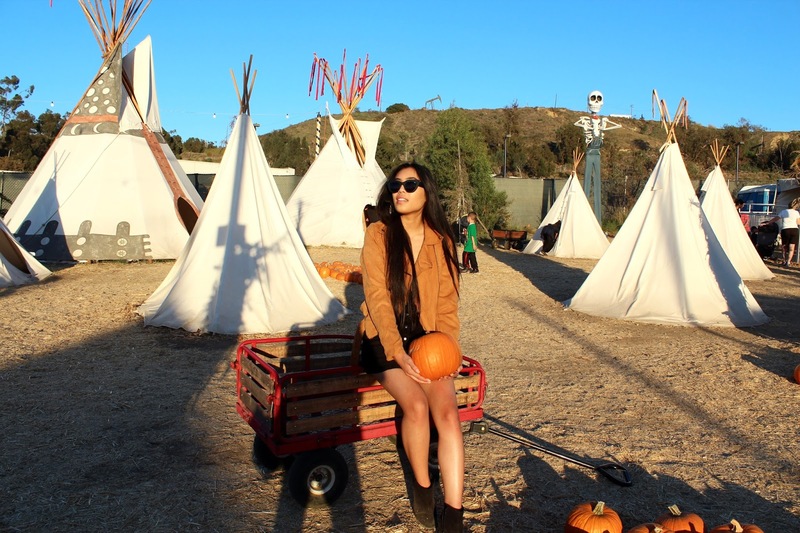 But you can't blame me, ya girl was just trying to enjoy the fact that it's finally fall!